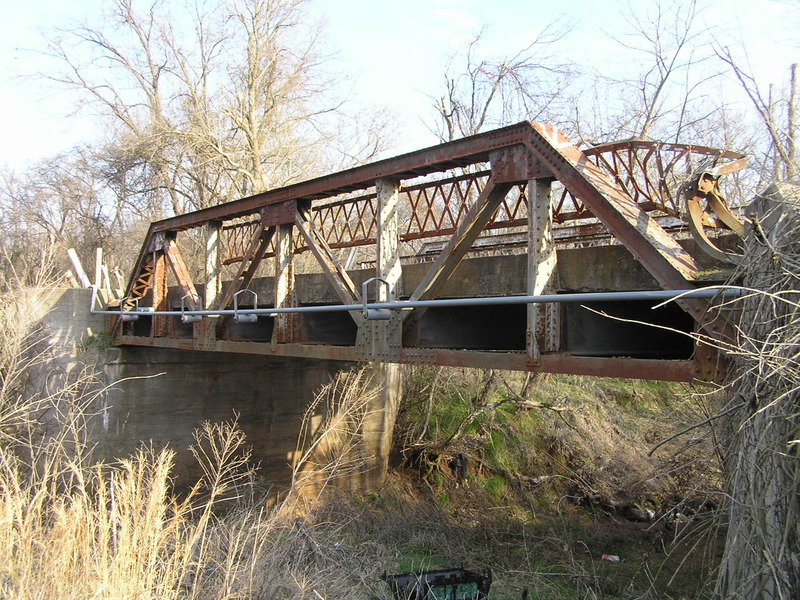 Built in 1920, this Warren pony truss bridge was rebuilt in 1940, and initially served Oklahoma Highway 9 before US 62 was routed here in 1930. 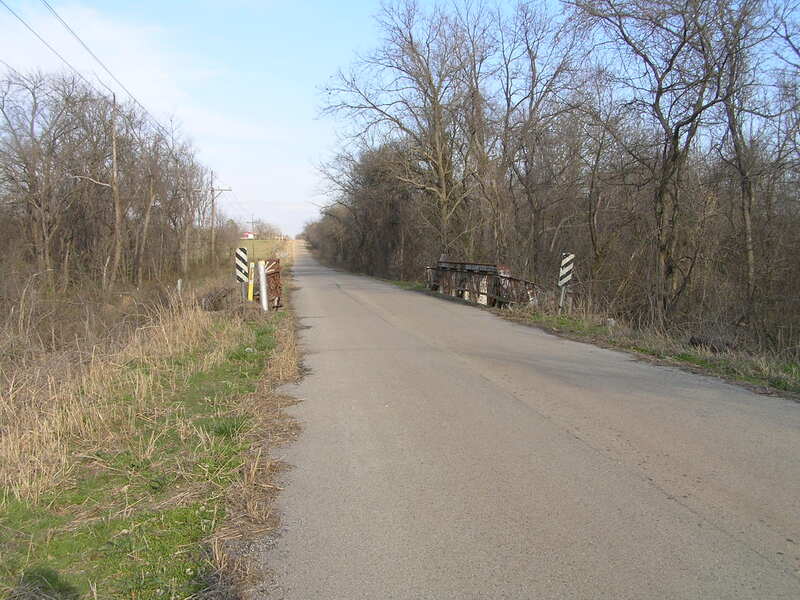 US 62 used this alignment until the late 1950's or early 60's. Above, a view through the bridge. Below, a side view. This is an early state-standard design popular in the late teens and early 20's. The bridge is 54 feet long and features a concrete deck 18 feet wide. This design is unique for not using stringers in the floor system. 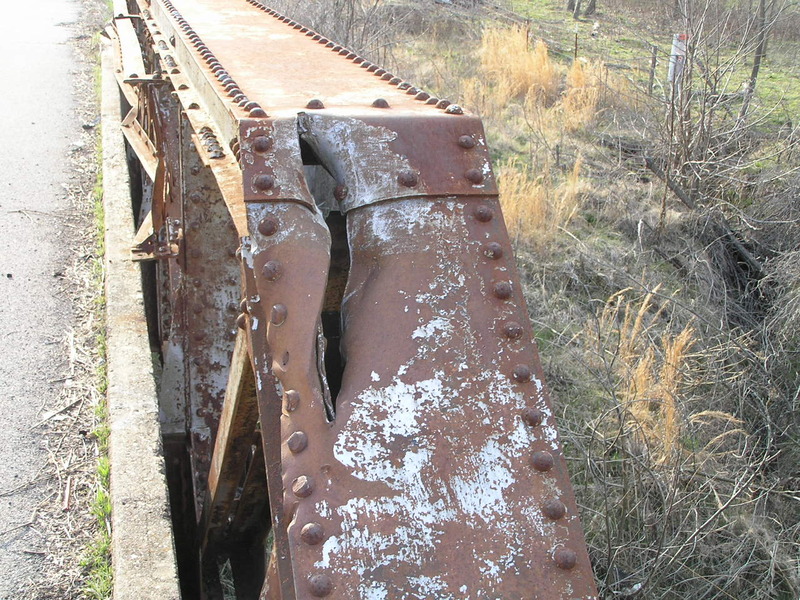 Above, this bridge has had some abuse in its long life. Below, a deck view of the truss. Above, a final view of this weathered old span. Though the road is now paved, it may have never been paved when US 62 used this routing. 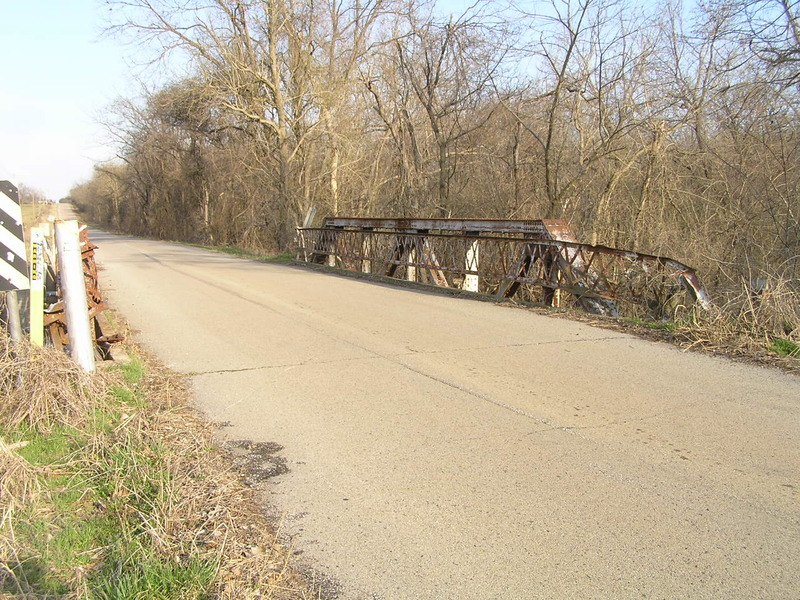 Large sections of the old US 62 alignment in this area have very old macadam or asphalt paving that has deteriorated to gravel. 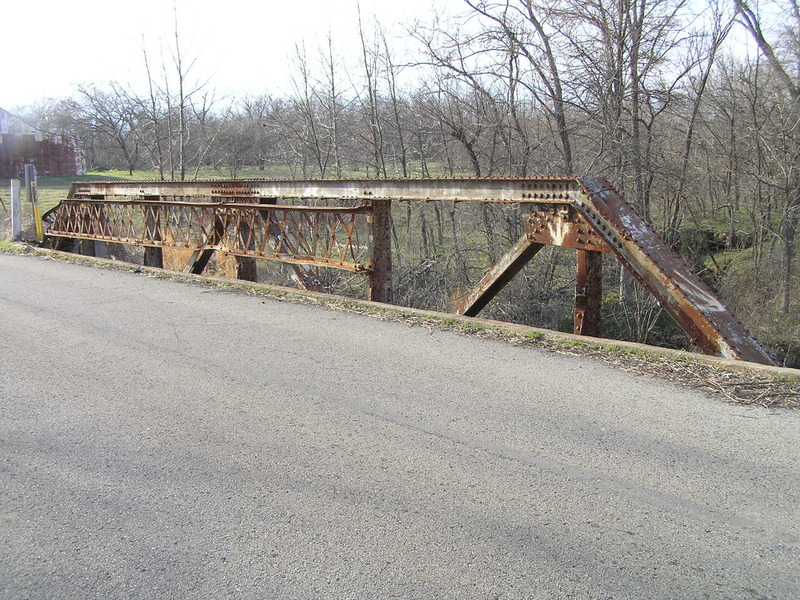 This span is just east of Boley.